Time to continue the fun with Q&A part deux! If you haven’t read part 1, you’re missing out! Hey hey it’s hump day. You know what that means….a brand spanking new blog post! 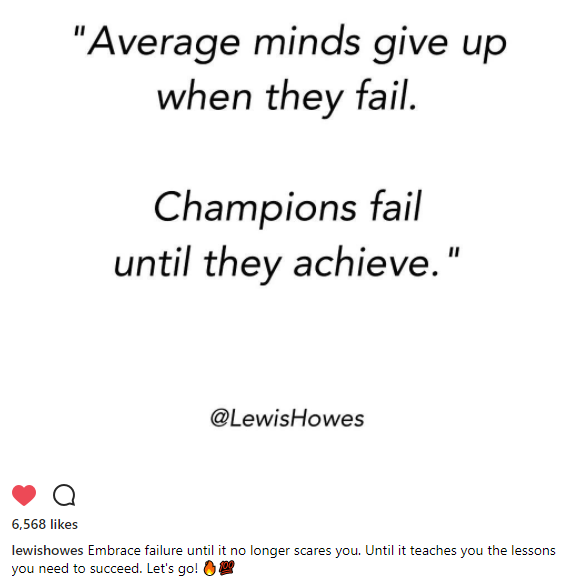 😉 For those of you struggling through the work week (hand raised over here), I saw this gem posted by entrepreneur Lewis Howes on Instagram. What a great quote AND lead into the Q&As. Let’s do this! 1. Are you afraid of failing? At first, absolutely! It actually hindered me from even starting. I would think, “If I fail, does that mean I am stupid?” Or “If I fail, then I am just bound to fail at everything.” Over time, I actually became more afraid of not starting. I don’t want to get to the pearly gates knowing I didn’t put it all out on the table. I also re-framed how I thought of failing, as a means to an end. But really, isn’t failure just a data point? It’s just information. Ok so something didn’t work. Try something else. And so on. 2. I am thinking about starting a side hustle. Any advice on starting one? This is going to sound so simple, but just start. I probably had my idea for See Holly Run Designs for about a year before I actually did something. I thought I had to have every.single.detail. all figured out. I would research and research some more, get paralysis by analysis, and then burn out. After getting tired of these research binge sessions going nowhere, I thought, “What if I just posted that 1 photo on Instagram?” Or “What if I just flipped through the product catalog and flagged things that caught me eye?” My advice would be, even if you have 10 minutes, do something. 3. Why did you pick Pennsylvania? Full disclosure: I do not live in PA currently. My goal is to live there some day. I absolutely love the open farmland, the historical architecture, cheesesteaks, and the people! 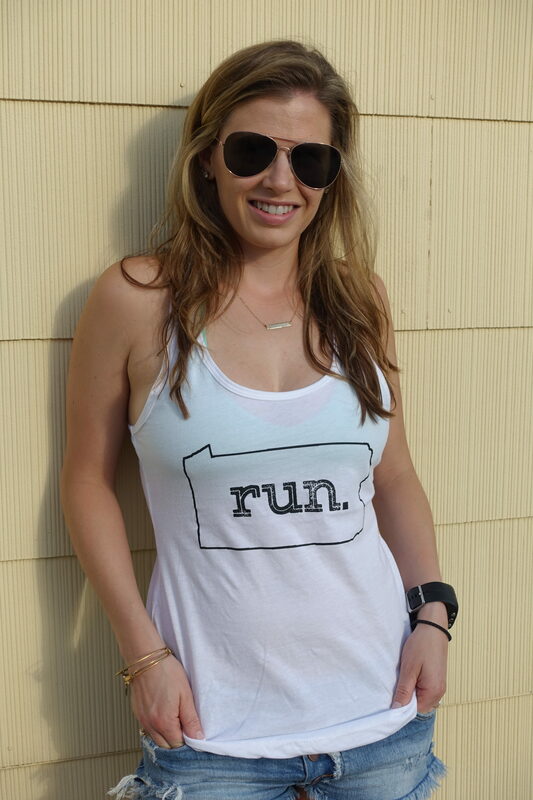 Also note that I named my line, See Holly Run Designs, and not anything to do with PA. It gives me the flexibility to create the designs I want and not just PA stuff. 4. What’s so unique about your apparel line? It’s a flipping t-shirt! And to that I say, no free shipping for you! 😉 But seriously, I get why someone may ask this question. There are about 64545499 t-shirt designs in the world. And I am just 1 in a sea of many….or am I? The most valuable gift you can give to the world is YOU! Being your true authentic self! There is no one else out there like you. I have been so blessed and have gotten a ton of feedback of the apparel line, both positive and constructive. It’ll helping me keep moving the brand forward. And that’s priceless. That’s all for now! Time for bed so I can be ready to go for my morning run!